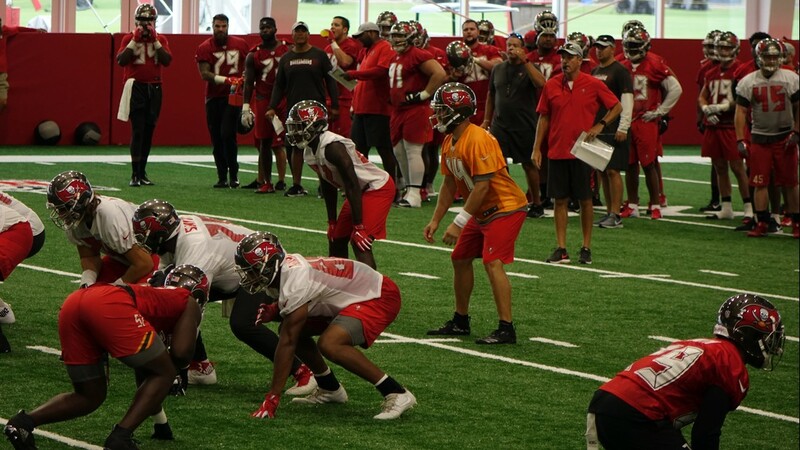 Quarterback Ryan Fitzpatrick lines up in the shotgun formation during day one of training camp on Thursday, July 26, 2018. 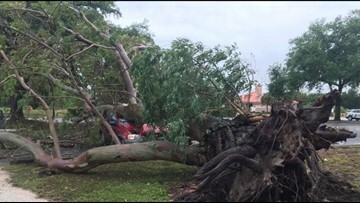 Fitzpatrick will start in place for Jameis Winston, who is suspended for the first three games of the 2018 season. 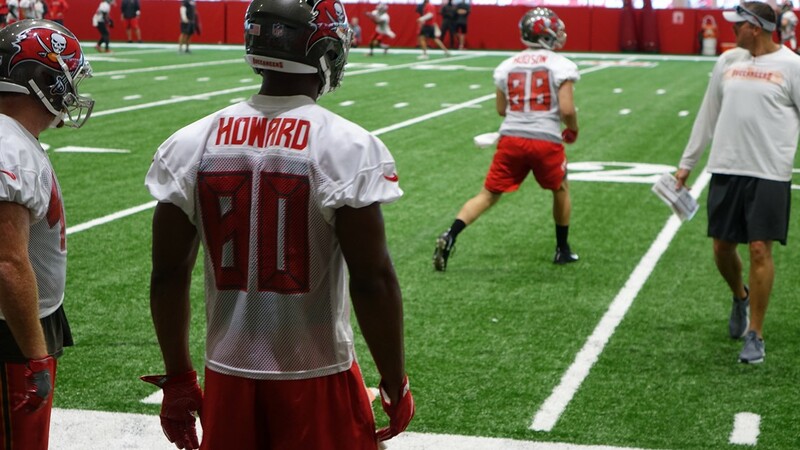 Tampa Bay Buccaneers second-year tight end O.J. 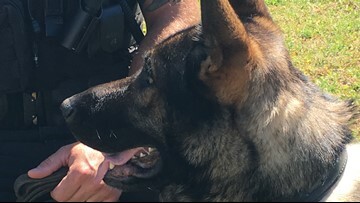 Howard lines up to participate in a drill during day one of training camp on Thursday, July 26, 2018. 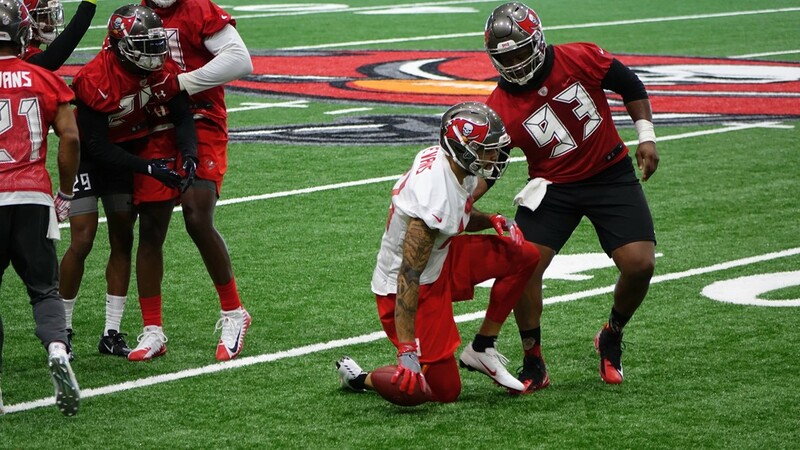 Defensive lineman Gerald McCoy helps wide receiver Mike Evans to his feet during day one of training camp on Thursday, July 26, 2018. 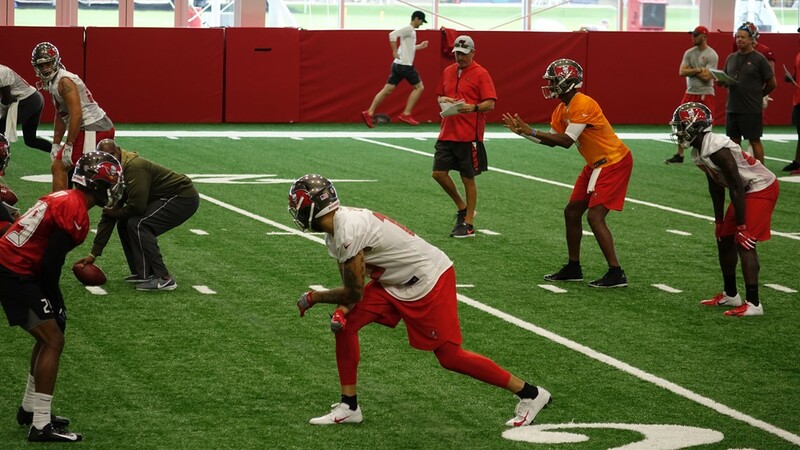 Jameis Winston and the Tampa Bay Buccaneers offense participate in a seven-on-seven drill during day one of training camp on Thursday, July 26, 2018. 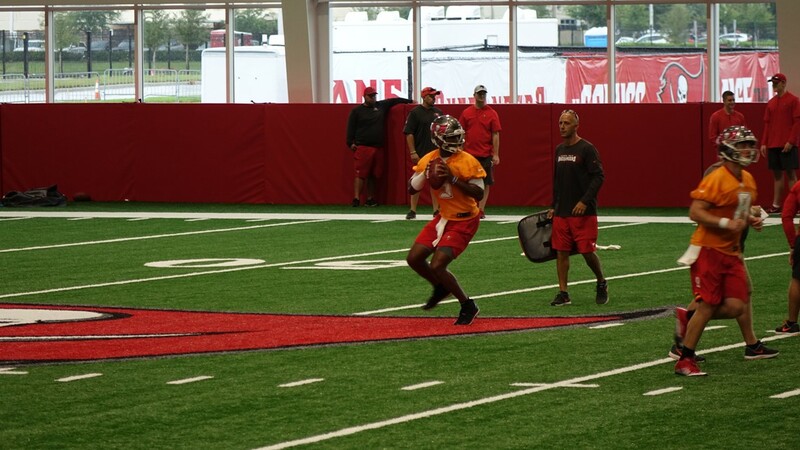 Jameis Winston participates in a quarterback drill during day one of training camp on Thursday, July 26, 2018. 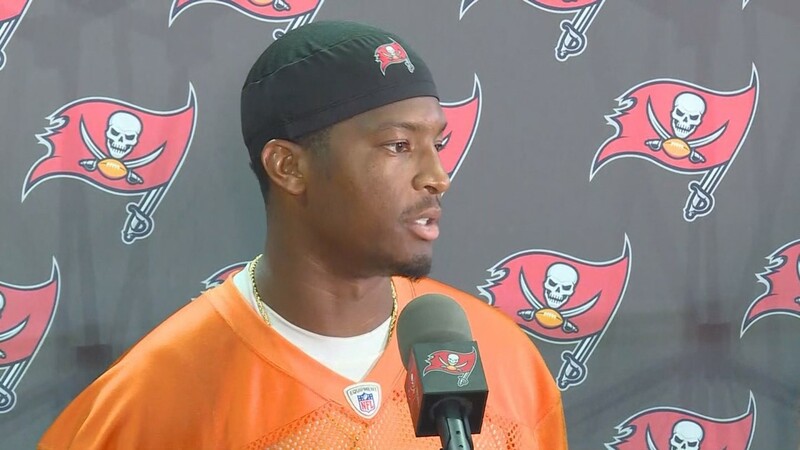 Tampa Bay Buccanneers quarterback Jameis Winston addresses the media on Thursday, July 26, 2018. 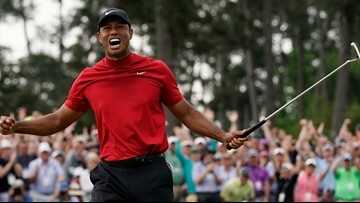 It marked the first time he spoke to the media since the NFL announced his three-game suspension. 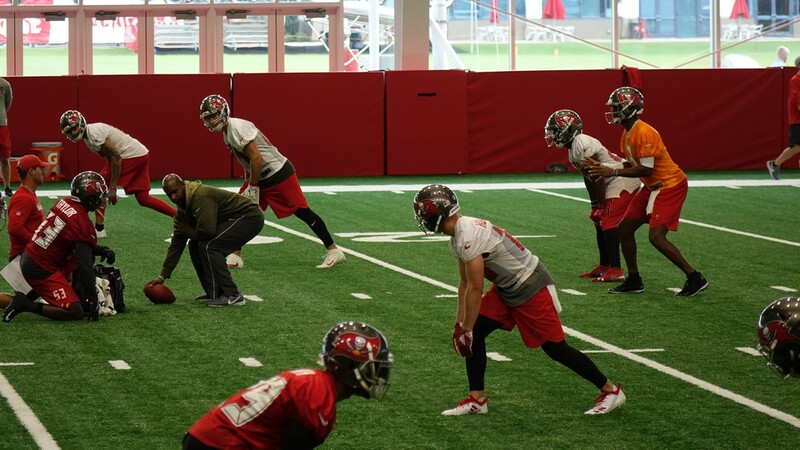 Buccaneers head coach Dirk Koetter coaches the offense on day one of training camp on Thursday, July 26, 2018. 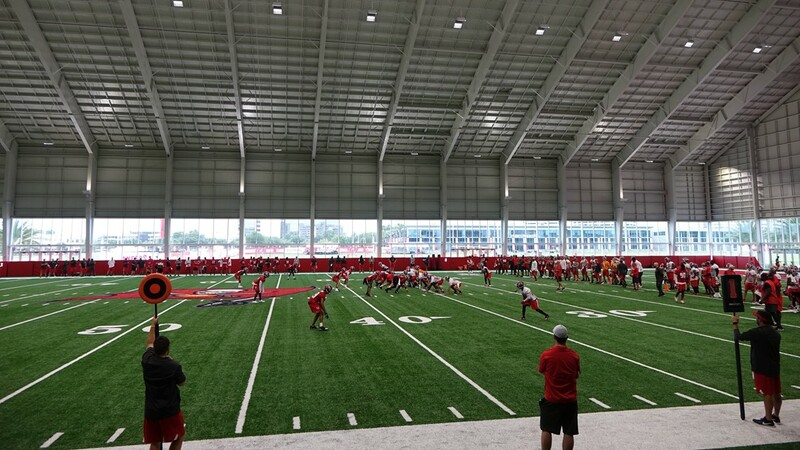 Jameis Winston participates in a seven-on-seven drill during day one of training camp on Thursday, July 26, 2018. 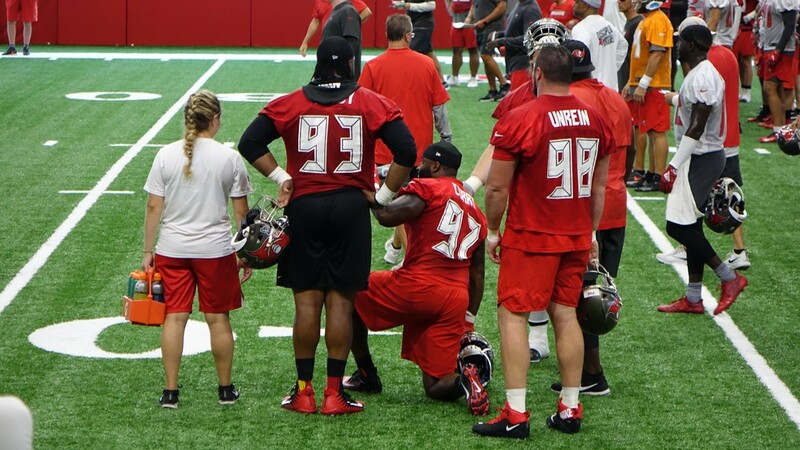 Tampa Bay Buccaneers defensive linemen watch day one of training camp on Thursday, July 26, 2018. 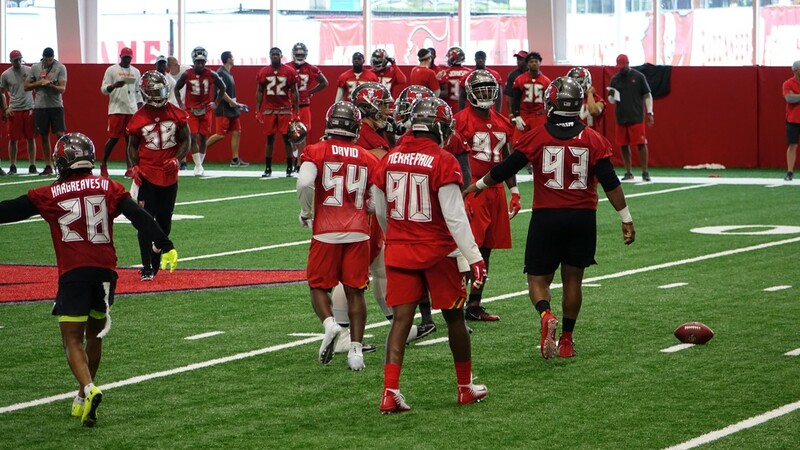 Several members of the Tampa Bay Buccaneers defense lineup -- including Jason Pierre-Paul and Gerald McCoy -- during day one of training camp on Thursday, July 26, 2018. 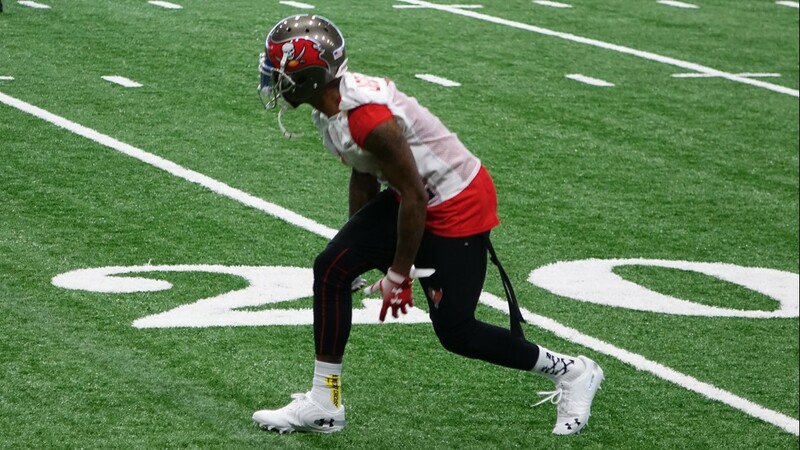 Tampa Bay Buccaneers wide receiver DeSean Jackson lines up during day one of training camp on Thursday, July 26, 2018. 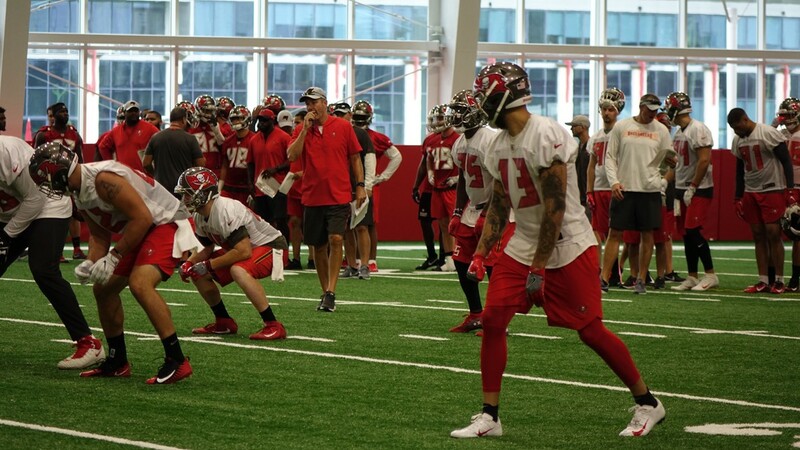 General view of Tampa Bay Buccaneers practice during day one of training camp on Thursday, July 26, 2018.